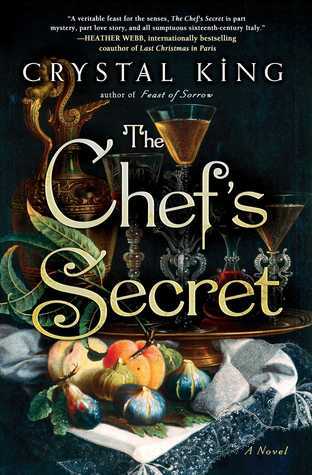 Crystal King is the author of THE CHEF'S SECRET and FEAST OF SORROW. A culinary enthusiast and social media professional, her writing is fueled by a love of history and a passion for the food, language and culture of Italy. She has taught classes in writing, creativity and social media at Harvard Extension School, Boston University, Mass College of Art, UMass Boston and GrubStreet, one of the leading creative writing centers in the US. A Pushcart-nominated poet and former co-editor of the online literary arts journal Plum Ruby Review, Crystal received her M.A. in Critical and Creative Thinking from UMass Boston, where she developed a series of exercises and writing prompts to help fiction writers in medias res. She resides in Boston.